The Paseo de la Reforma — Mexico City’s iconic front door — is about to get a boost from underground with help from Elastimold® and ABB AbilityTM. ABB, working through local distributor Consorcio AMESA, has won a $6.4 million contract to install 62 units of Elastimold® switchgear systems along 9.1 miles of the street. Considered maintenance-free because Elastimold® contains no oil or gas to monitor or maintain, the systems are controlled by submersible ABB AbilityTM enabled REC670 Intelligent Electronic devices for automated system routing and monitoring. The project will replace a 70 year-old electric infrastructure with stable, submersible switches in underground vaults that are capable of providing a more reliable power supply to the area. Designed by the ill-fated Emperor Maximilian in the 1860s to rival the grand boulevards of Europe, today’s Paseo de la Reforma is home to some of the capital city’s tallest towers and most powerful institutions. ABB’s switchgear is part of a $150 million Comisión Federal de Electricidad project to upgrade the stability of the power supply to data-intensive bank buildings, government offices and corporate headquarters that line the street. “The Comisión and its contractors were attracted by the maintenance-free aspects of ABB’s Elastimold switchgear, along with the demonstrated capabilities of the REC670s,” said Angel Martinez, Product Marketing Director for the ABB Electrification Division’s Installation Products unit in Mexico. The unit worked with the company’s Power Grids Division to pair the two devices for the first time for a major sale in the country, then worked with Consorcio AMESA to demonstrate the product to the CFE. The successful sale of switchgear and control equipment for the Paseo de la Reforma project reflected the ability of separate ABB divisions to integrate their strengths to provide the most complete product possible to a major customer. Switchgear systems are the traffic cops of electrical distribution. They provide routes for power from one part of the system to another — for instance, from a main distribution line to a series of individual buildings or loads. Depending on their design, ABB switchgear can be opened and closed automatically, remotely or manually if major faults occur, such as underground cable failures or equipment damage, so that adverse conditions can be isolated and power restored to portions of the system. They can also shut down parts of a distribution system for repairs or upgrades, or shift the source of distribution energy for any number of other reasons. Most traditional and legacy switchgear systems use gas or oil as insulation to prevent arcing within the component. This material, however, can leak or deteriorate over time, so it requires routine inspection and maintenance. Elastimold® switchgear uses an ingenious design that encapsulates a vacuum bottle in a maintenance-free solid dielectric EPDM rubber insulation, providing high voltage and arc withstand capability that does not change or deteriorate over time. Along with its maintenance-free construction, ABB’s Elastimold® switchgear is completely submersible in water. The ABB AbilityTM enabled REC670s are key components of what is known broadly as the “smart grid.” They are designed and programmed to quickly and automatically route power around adverse conditions such as faults on the line or equipment damage and provide crucial reliability and stability to the local power distribution system. They can also be controlled and monitored remotely or locally on-site. The Paseo de la Reforma’s designer, the Emperor Maximilian, was the last European to claim dominion over the country. It soon gained its modern name, which translates roughly as the Avenue of Reform, after President Benito Juárez overthrew the emperor and forever returned Mexico to the control of its own people. Today, the street is the site of many of the country’s largest protests, demonstrations and celebrations. 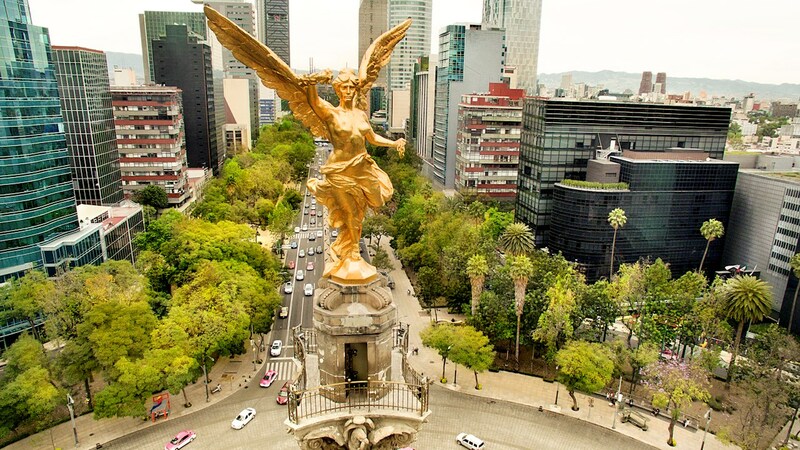 Its intersections are dotted with monuments to Mexican history, from Columbus to the iconic Angel of Independence, and it is home to the city’s tallest building, the Torre Reforma. 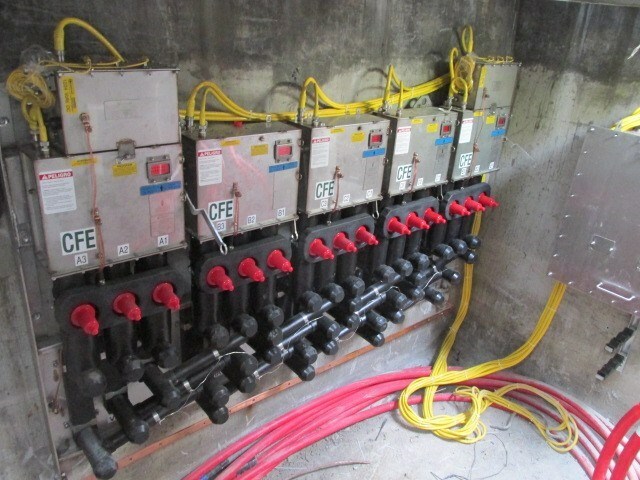 The Reforma project will mark the 300th Elastimold® solid dielectric switchgear system installation in the country, Martinez said, including critical facilities such as Mexico’s United Congress, the National Bank of Mexico’s headquarters, Benito Juárez International Airport, the National Palace and the presidential residence - Los Pinos. The latest project marks the first large completely integrated system with ABB’s REC670s paired with the Elastimold® solid dielectric switchgear solution. Altogether, ABB’s portion of the project will include 50 units of multiway medium-voltage Elastimold® solid dielectric switchgear systems, 12 units of automatic fast transfer medium-voltage Elastimold® solid dielectric switchgear systems with their corresponding ABB control systems.